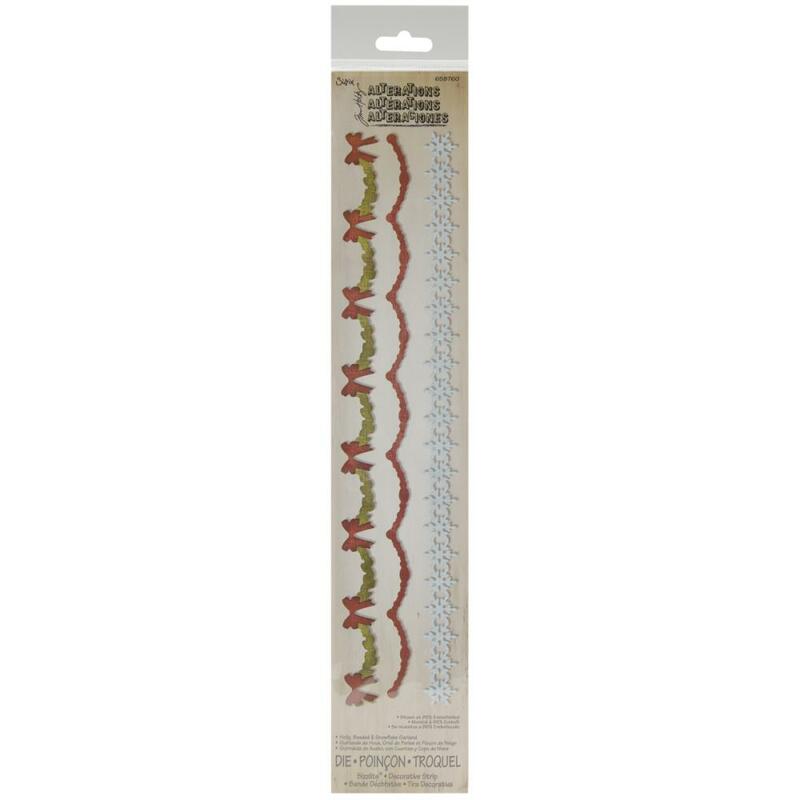 SIZZIX-Sizzlits Decorative Strip Die. Decorative strip dies cut eye- catching, edge-to-edge borders onto single sheets of scrapbook paper or cardstock. Decorative Strip Dies offer continuous charm to any card, scrapbook page or papermaking challenge. Compatible with BIGkick, Big Shot, Sidekick, and Vagabond machines with the appropriate spacers and cutting pads (all sold separately). Die measures 12-5/8x2-3/8x1/8 inch. 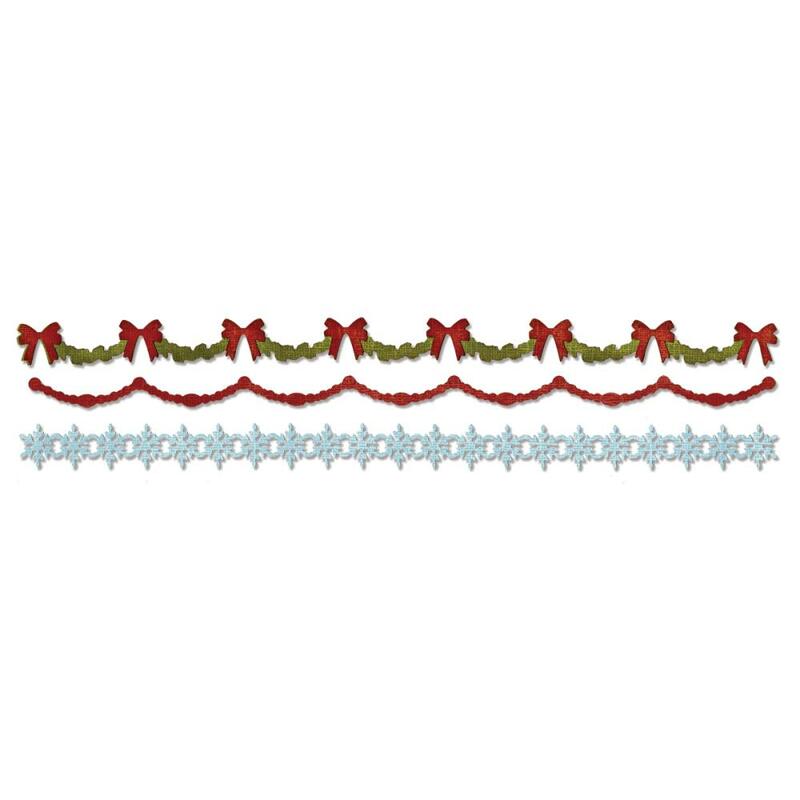 Design: Holly, Beaded & Snowflake Garlands (11-7/8x3/4 inches).